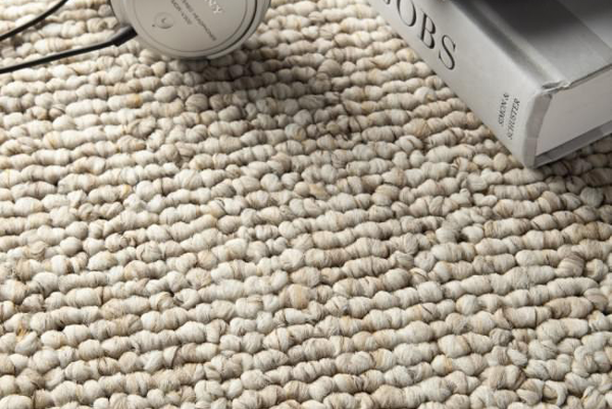 Berber is one of the most popular carpet styles and it's easy to see why. It can work with different types of decor, thanks to its versatile colour, which is usually light base with flecks of darker shades of brown or gray. Berber carpets are called as such because the style of weaving came from the Berber tribes in North Africa. Berber carpets are known ad looped carpets and as looped ones became popular, the colour choices have become varied as well. It has a reputation for being less expensive compared to other residential carpet types. It offers more bang for the buck since it's made of olefin fibre which is less costly compared to wool or nylon. Berbers are also less expensive to manufacture. Looped fibre is generally stronger than other fibres of residential carpets. But keep in mind that there are low-quality and high-quality Berber types, so a cheap Berber will not be as durable as a Saxony carpet of mid-quality fabric. The looped construction of Berber carpets makes it easier to clean. Spills and stains can be removed without having to scrub deep into the fibre. Plus, the colour of berbers, be it traditional or multi-colour, makes it easier to hide stains and soiling. Of course, just like any other carpet style, Berber may need extensive cleaning after months or years. Trust no less than the best home and carpet cleaning service in Canberra to clean your Berber. Call iClean Carpets at 0412-341-937 for bookings and inquiries.